The World My Wilderness – loudlatinlaughing – Euge! Euge! 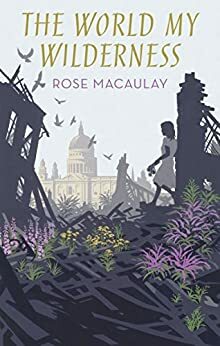 Rose Macaulay’s 1950 book about a post-war London and France, a family picking up the pieces in the wake of divorce, murder, collaborating with the German occupying army. A languid and charming mother (Helen) who runs away from her upright husband to a lover in France (subsequently drowned by vigilantes upset by his collaboration), a wild daughter Barbary who sees and experiences unspeakable acts at the hands of the occupying army and who can’t adjust to life in London with her father (later revealed in the book’s windup not to be her actual father). Tremendously well-written and informed by Macaulay’s own experience surviving the bombing of London in the war.